Swati Menthol & Allied Chemicals has emerged as a leading exporter of natural menthol and other chemicals in recent years. 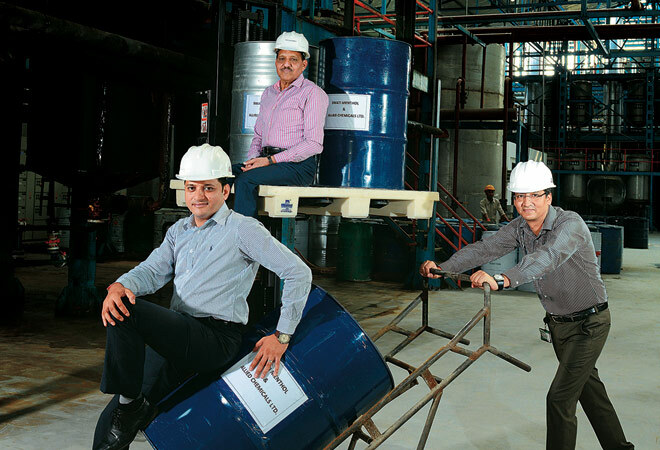 SK Gupta, a chemical engineer from IIT Kanpur, started a small natural menthol oil distillation unit in 1977, at Rampur, Uttar Pradesh, with a seed capital of Rs 40,000. His company, Swati Menthol & Allied Chemicals, has metamorphosed into one of the leading makers and exporters of natural menthol, essential oil, peppermint oil, crude menthol oil, peppermint essential oil and terpene chemicals from India. In 2013/14, Swati, incorporated in 1990, clocked revenue of Rs 400 crore compared with only Rs 40 crore in 2006/07. The company has two plants in Rampur with a team of 384 people, and plans to set up a third unit in 2016. Its products (from menthol, pine and aroma range) are used as ingredients by various medicinal and cosmetic industries, consumer goods, flavour and fragrance companies. Indeed, some 80 per cent of its finished products are exported. Swati boasts of the world's leading flavour and fragrance companies as its clients, including Firmenich, IFF, Givaudan and Symrise. Its roster of clients includes Colgate, Emami, Wrigleys, ITC , Dabur and Asian Paints. Nitin Kumar Gupta, Director-Technical at Swati and nephew of Founder MD SK Gupta, says that in order to cater to multinationals and become an approved vendor, the company has to consistently innovate, maintain quality and get appropriate certifications for its products. "Our units have a monthly turnaround of approximately 1,500 tonnes material. Both the plants have distillation columns imported from Switzerland and food grade clean room area with air-handling units and automation which keep the products safe and contamination-free." To get an edge over competition, the company decided to diversify beyond menthol, into pine and aroma products a couple of years ago. "Menthol was already catering to the pharma and oral hygiene segment. With the pine division we started supplying to the home- and personal-care segments as well. To enter new categories, we started offering products at competitive prices and scaled up the volumes," says SK Gupta. Swati ramped up capacities in the last couple of years at a cost of Rs 48 crore. Its second unit, focused on pine and aroma products, became operational from January 2014 and more than doubled its production capacity. "Looking at the success from our second unit, we are planning another expansion of output. With this expansion, we will be able to reduce our overhead costs and will be able to come back to our usual profitability," says SK Gupta. The expenditure on the production expansion has eroded the company's profitability. Swati's net profit halved in the last fiscal. In 2013/14, net profit stood at Rs 12.40 crore; in 2012/13 it was Rs 24.66 crore. Sanchit Gupta, Director, Business Development, and son of S.K. Gupta, says that in order to cater to the global market the company chalks out tailor-made strategies for the convenience of customers. "We get into long-term, fixed-price contracts. The period of delivery can be of multiple years also. We are able to follow JIT (just in time) deliveries as we have two global warehouses in New Jersey, US, and Rotterdam, the Netherlands." To meet the growing demand from North and South America, Swati is setting up a company in New Jersey by March 2015. "It is one of the fastest-growing markets for us, especially for menthol oil and pine chemicals. In 2013/14, we got Rs 35 crore business from these markets. After the opening of the US company, we expect Rs 100 crore will be generated from the market," says Sanchit Gupta. Swati then could be poised for rapid growth over the next few years.